Here is a picture of a monument that you made for us. 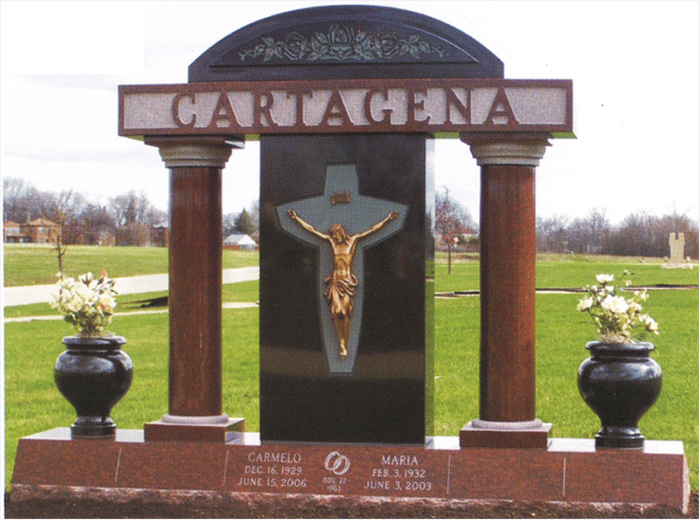 We added the carving and lettering and it is now set in the cemetery. The customers was very pleased. I was very happy with the work that you did also. Here is a picture of another monument that you made for us. 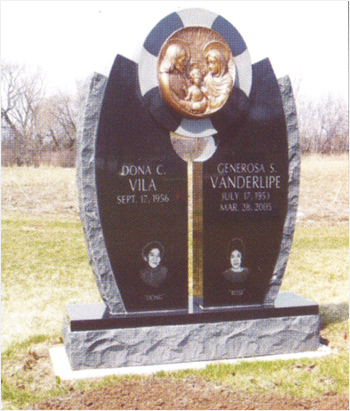 This one actually won me a first place award in a design competition for a companion monument at the 2007 Monument Builders of North America convention. Robin as me to contact you to let you know that you and your people are to be congratulated for manufacturing "THE BEST OF THE BEST". Yes, that is the headline over the article in the March issue of "The Monument Builders of North America News" magazine. You will see from the attachment you won the People's Choice Winner and Individual Monument Winner category.Again, congratulations, keep up the good work.